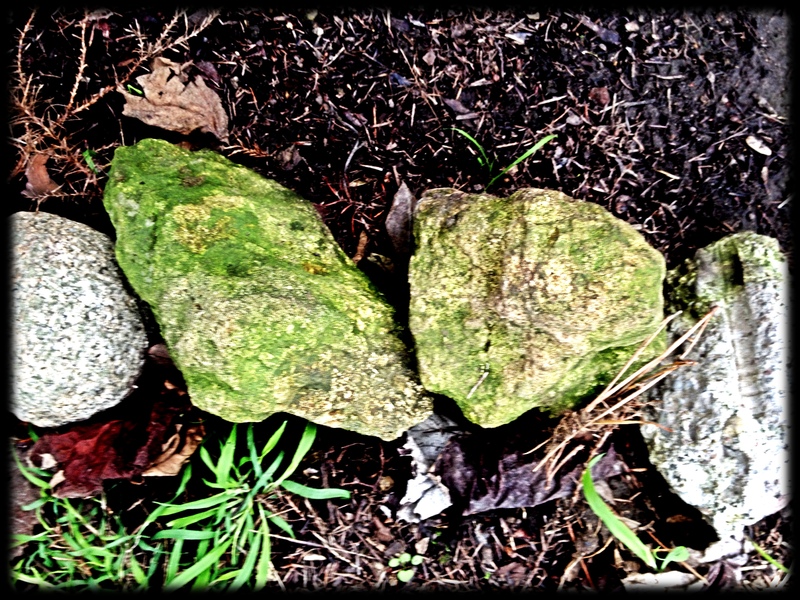 On the last day of winter I offer this humble image from my garden of four mossy stones. I hope they might inspire poems or stories after their long silent wait on the cold damp ground. Does anyone remember that Wonder Wednesday is a prompt? I will give you an Image to wonder about and when you have written or found an image to respond with, post your own Wonder Wednesday and link it with me, then share in comments for all to see. Here’s mine I think it is a haiku 17 syllables anyway. This entry was posted in Green Man, Mossy stones, Nature, Poetry, Spring, Visions and tagged end of winter, Gardening, mossy stones, nature, Photography, spring, Wonder Wednesday, Writing. Bookmark the permalink. Cee’s Fun Color Challenge: Purple, Lilac, Orchid and Amithyst and Purple People Eater!